I scramble around every December finding the perfect presents, baking perfectly blog-worthy goodies, and hanging perfectly themed store-bought ornaments onto my perfectly perfect artificial Christmas tree. I perfectly Christmas until I perfectly crash some time around 3 pm on the 23rd. “Oh, Clark,” Tim chuckles as he sarcasticaly pats me on the back at the end of each exhausting stress-filled day. It’s an annual tradition for Tim and I to pour a couple glasses of wine and watch National Lampoon’s Christmas Vacation alone together at the very beginning of every Christmas season. This might be the year I actually learn the right lessons from Clark Griswold’s holiday classic. We all know that the movie opens with Clark tromping his family through the woods to find their Official Griswold Family Christmas Tree. 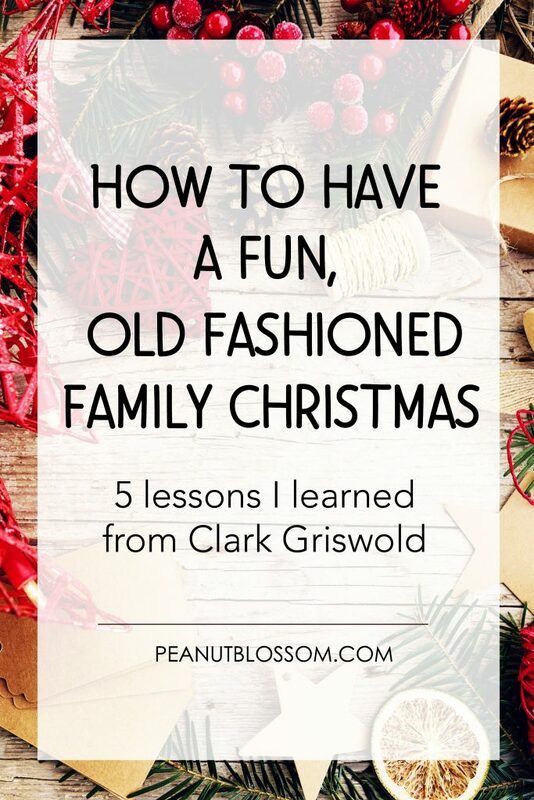 When quizzed by son Rusty about why they are bothering with this effort, Clark responds they’re there because people have forgotten how to have a “Fun, Old Fashioned Family Christmas” and he’s going to make sure that doesn’t happen to his family. I think Clark’s right. We have forgotten how to have a Fun, Old Fashioned Family Christmas. But, what does that actually mean? Do we even know what that looks like anymore? 1. Slow down. No, for real. I mean it. There are more fun family traditions floating around on Pinterest than one family could ever possibly squeeze in during the 25 – 28 days of Christmas prep time. More traditions and activities does not a better Christmas make. There is no golden trophy for the mom who squeezes in the most festive fun in the shortest amount of time. Decide what really and truly matters to you. Look at your calendar and make sure it is manageable. There is a difference between an activity you do with your kids and one you do foryour kids. If the tradition doesn’t allow you to spend more time with the ones you love most, is it really a family tradition? Ask yourself who will be happy at the end of the activity. If you aren’t on that list, find a new tradition. 2. People matter more than things. Random acts of kindness and giving to charity are crucial elements of any Christmas celebration. But, what about taking a look at how the other holiday activities on your calendar involve people, too? Look to the community outside your front door, how can you involve them in your festivities? It can be as simple as having a holiday breakfast at a coffee shop with a friend or as grand as organizing a cookie & hot cocoa tasting with the neighbors. As you’re deciding which activities to keep on your calendar, always pick the ones that involve community over the ones that find you prepping a thing alone. 3. Embrace a perfectly imperfect tree. I grew up with artificial Christmas trees. It’s been my family tradition forever. When I found this video by the folks at The Christmas Tree Association Board, I burst into tears. It resonated with me because it perfectly showcases what tree decorating day usually looks like at our house: Tim struggling to wrestle the big plastic beast of a tree down the stairs from the attic and wasting time fluffing the branches and re-bending the trunk so it lines up perfectly straight while the kids are off playing at something else. It made me think–it is time for a change! I’ve never had a real Christmas tree before, but we’re finally changing that this year. 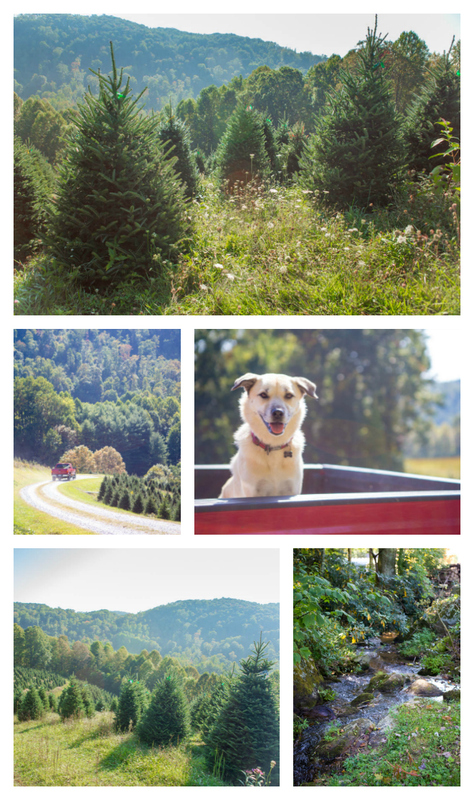 In September, I took a day trip out to the Cornett Farm in Sugar Grove, North Carolina to visit with a family of tree growers. 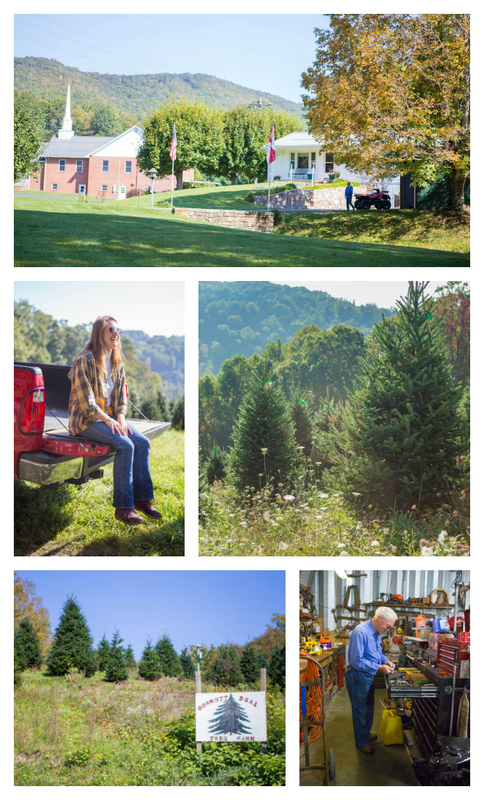 I wanted to learn more about what goes into the heirloom craft of growing Christmas trees. When I looked around at all the trees, I couldn’t help but believe him. I spent the morning with Dale and his daughter Megan whose passion for their trees was evident. Did you know it takes 12 years to grow a Christmas tree? This family is already preoccupied with Christmases more than a decade away. They spend every day of the year tending to and cultivating what will be the centerpiece of thousands of families’ holiday celebrations. It is grueling work through hot southern summers but their diligent care means that in a field of more than 1500 trees, I saw just one that didn’t look like it was going to make it. I can barely imagine the persistence and skill it takes to raise a crop for that extended period of time with such success. I can hardly wait to take my girls back to the Christmas tree farm to meet the Cornetts and make memories picking out our own real tree this year — memories you miss out on making with an artificial tree. If you’re too far away to get to a real Christmas tree farm in your area, did you know that you’re supporting these amazing US farming families even when you shop at your local tree lot or big box store? Megan talked about moving to Texas to be closer to her niece someday. 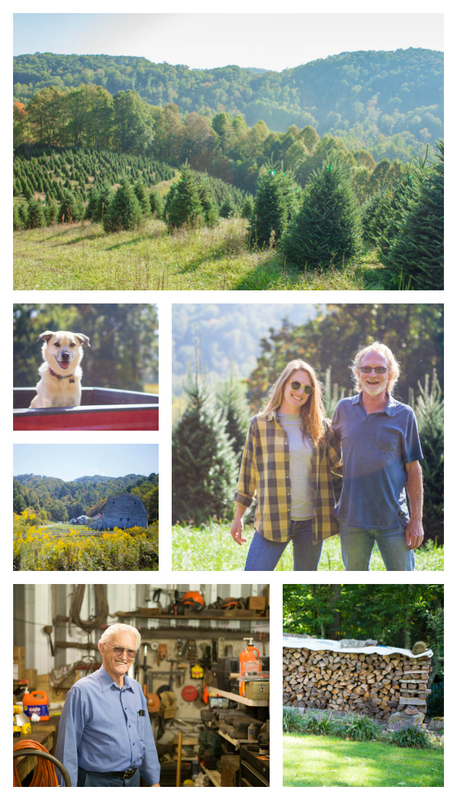 When I asked how she felt about leaving the family business behind, Dale earnestly stepped in and answered that she’d run a tree lot there because “trees are in her blood.” I love that a faraway tree lot is considered just as much a part of the family business as driving around their own fields would be. Now my only challenge is going to be picking out the just-right size of tree so I don’t pull another Clark and end up with broken living room windows! 4. Plant the seeds for memories with music and smells. I cry with Clark every year when he finds the old video footage of his childhood in the attic. It’s not the visuals of the old photos that get me, it’s the music that plays in the background of the scene. Our brains are hardwired to capture and cling to the sounds and smells of the season. Christmas music can get a bad rap for being overplayed and annoying. I love to make my own playlists with family favorites that are easier to listen to for weeks on end. Tim loves anything with a spiritual theme to it, the girls and I love the instrumental soundtrack to The Nutcracker, and we all have a few jazzy holiday favorites I add to the mix. This year, I’m thrilled to know I won’t have to burn a balsam-scented candle because I’ll have the real deal filling our home with the most magical smell of Christmas. Nothing beats the scent of a real pine tree. Now that I’ve seen the mountains where it grew, that scent will have whole new meaning to me. It smells even sweeter knowing the tree is 100% biodegradable and good for the environment, unlike the artificial trees that sit in landfills for decades. Who knew?? How can you channel the music and smells that mean the most to your family? Make them a part of your daily routine. Stream music gently over breakfast before school, simmer some cinnamon sticks on your stove top, and pause each day to breathe in that heavenly scent of your tree. This is my biggest downfall. I love to bake and create elaborate holiday meals for my family. Setting a pretty table brings me a festive sense of joy. But, this year I’ve got a lot on my plate. I’m working hard on my cookbook, so the idea of cooking even more food for the holiday sounds more like a chore than a treat. The last thing I want is to slave away alone in the kitchen while my family enjoys time together somewhere else. We’ll be celebrating the season with popcorn for dinner on movie night and Chinese food on tree decorating day. Eating take-out off paper plates by the light of our freshly decorated Christmas tree sounds like the most perfectly perfect thing I can think of right now. As long as I’m surrounded by my family. If you watch closely, you’ll spot Dale and Megan in many of them. I was standing behind the videographer when they were captured, such a fun day!